With spring fully at hand, we loaded up last week and headed to the desert for a few days of camping, big vistas, sleeping under the stars and mountain biking. We knew the wind was supposed to be “gusty”, but what we didn’t expect was near hurricane force speeds. I was literally fighting to maintain 55 mph on the interstate because of the screaming headwinds! Near Crescent Junction we even came upon a semi laying on its side as a victim of what we suspect was a huge crosswind blast. Fortunately no one appeared to be seriously injured. Despite the annoying wind for the first couple of days, we accomplished our goal of escaping the hustle and bustle of daily life and found those absurdly wide open spaces and explored some parts of Utah that had long been on our wish list. The rugged backcountry area north and west of Goblin Valley exposed us to some incredibly high (scary) winds, but when that much dust starts flying around, it makes for some exceptionally stunning skies. Our primary focus was finding something leeward of the blasting wind where we could safely pitch our little tent, however, experimenting with some HDR photography was certainly worth a few minutes pause. After bouncing around the San Rafael Swell and Capitol Reef area for a couple of days, we worked our way back east near Moab where we wanted to re-explore some of the lesser traveled tracks south of Canyonlands National Park. 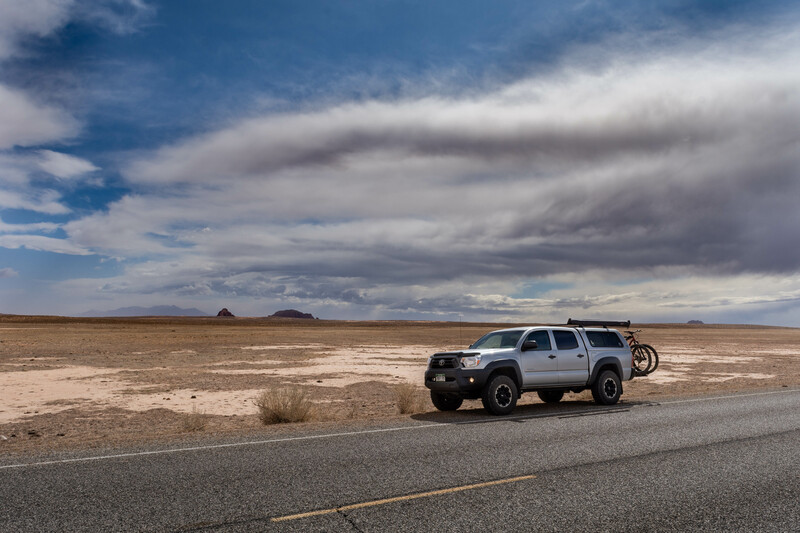 It’s hard to believe any area around Moab isn’t overrun with people, but you can find near complete isolation if you’re willing to go just a tad further afield. The immense skies of the Desert Southwest get a lot of play, and rightfully so, but the spring foliage definitely rewarded us as slow travelers with an incredible pageant of colour. We eventually continued our way back east on Road 128 which is arguably one of our favourite drives anywhere in the US. 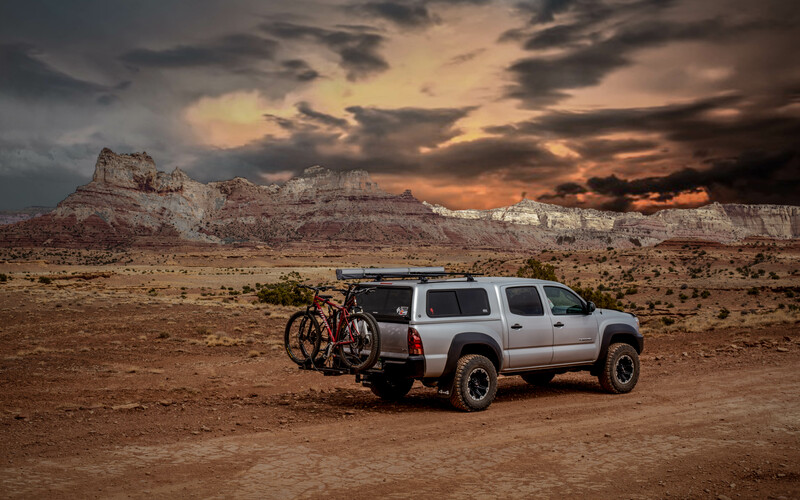 However, the popularity of Moab in recent years has made this road anything but an isolated cruise. Additionally, riverside camping in any of the campgrounds along the Colorado River is almost impossible for a person who can’t get there before a Thursday, and sometimes even that isn’t adequate. Every time we come this way we feel lucky for having explored this area 25 years ago when BLM campsites were rarely more than half full even on the weekends. Nevertheless, the stunning beauty of this valley speaks for itself. A Mog near Fisher Towers. We spent our last couple of days camping near Fruita (Colorado) where we got in some fun, albeit crowded mountain biking. 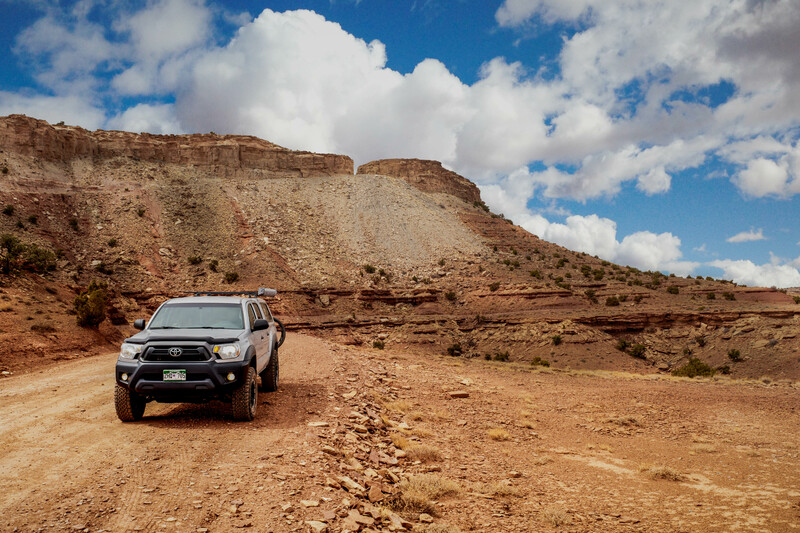 Just like Moab, the popularity of Fruita has exploded in recent years and finding reasonably uncrowded trails is likely reserved for the Tuesday through Thursday time slot. 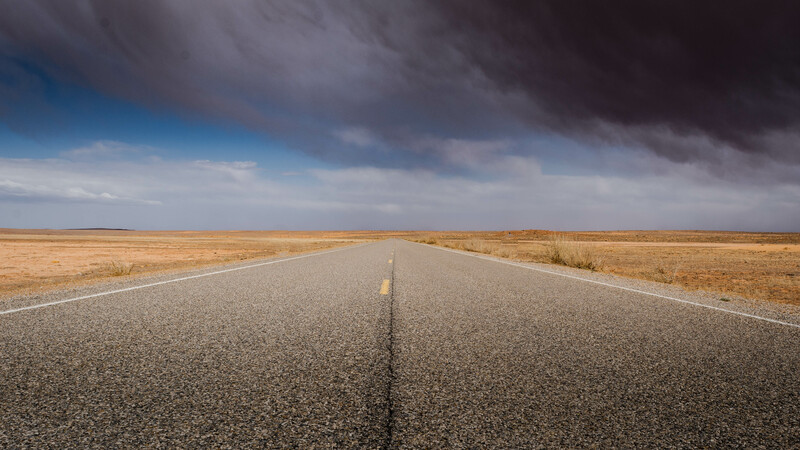 However, we undeniably savour the big, open spaces of the North Fruita Desert and of course no trip to Fruita would be complete without eating what could possibly be the best pizza in the Rocky Mountain Region at The Hot Tomato. These quick hit jaunts are never, and will never be, long enough for my liking, but it’s still good for the soul to get away for a few days to clear the mind and hit the proverbial reset button.